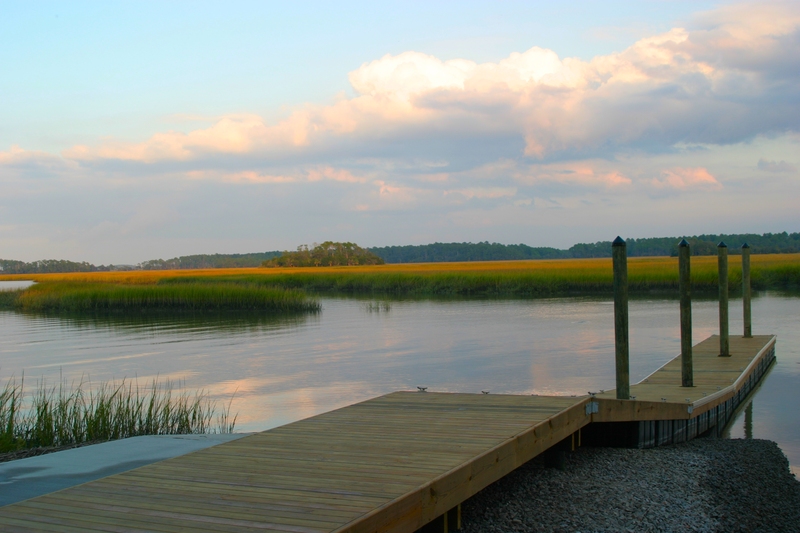 Palmetto Bluff is a new and truly unique addition to the South Carolina Low Country. Of the 20,000 acres in the community, only 12,600 will be fully developed. The rest of the remaining land has been designated managed forests and wetlands. Palmetto Bluff real estate features homes and POA fees in the uppermost price tier in the area. The idea of Palmetto Bluff is to create a residential village with shops, restaurants, services, and recreation facilities all within the gates to the community. Home sites are 1/4 acre to 8 acres in size, and family compounds will range from 14 to 31 acres. Palmetto Bluff real estate offers a wide variety of housing, ranging from sprawling multi-acre family compounds to single-family patio lots. It is estimated that 2,917 units will be built on 12,627+ acres in Palmetto Bluff. Extensive forest preserves and miles of wooded trails offer opportunities for outdoor, historical and cultural enrichment. One-third of Palmetto Bluff property has been preserved by covenants and restrictions in perpetuity, including a 5,000-acre managed forest and 394 acres in conservation easements. The Village at Palmetto Bluff offers shopping, community services, dining, and a public dock for residents. Amenities at Palmetto Bluff include the Inn and Spa; the May River Golf Club which boasts a Signature course designed by Jack Nicklaus. A footbridge spanning the waterway connects the Village with the golf course. The Canoe and Kayak Club offers fitness facilities, pool and restaurant. The Spa, golf course and canoe clubs are linked through a series of historic roads, paths, and a network of freshwater trails. The trail system allows residents to reach their destination by bicycle, foot, boat or automobile. Palmetto Bluff is an excellent choice for buyers who are looking a few years out. This upscale community is approximately 80% the size of Hilton Head Island but will have approximately 3,000 homes at completion and a very low density. By creating multiple villages, the developer, Crescent Resources, will also be creating a “green community” where people can walk and bike to multiple activities, restaurants, and more. A variety of options are available including vacation rental income properties. Important note – Golf is optional.